Did you know that we have one of the most advanced environmental policies amongst all the recycling companies in the Middle East? Lucky Group is one of the largest metal recyclers in the Middle East. Our recycling facilities in Dubai, Jebel Ali and Doha cater to clients that span over 40 countries worldwide. As part of our operations, we procure metal scraps from various industries, scrap merchants and collection centers and process them in our facilities. Lucky Recycling has been re-certified for the AQSIQ certificate, which points to our stringent quality checks and commitment to the environmental cause. We are the first recycling corporation in the UAE to have the AQSIQ certification. We endeavor to encourage environmentally aligned responsible behaviors. We communicate our environmental policy to our employees, clients and the public. We hope to continually evaluate and improve our environmental policy according to our strategic and operational development. Leave a comment if you have any ideas for improving our environmental policy. Lucky Group is a scrap metal recycling company. We are also very environmentally conscious. We strongly believe that metal should be recycled and upcycled at home before it is tossed in the thrash. 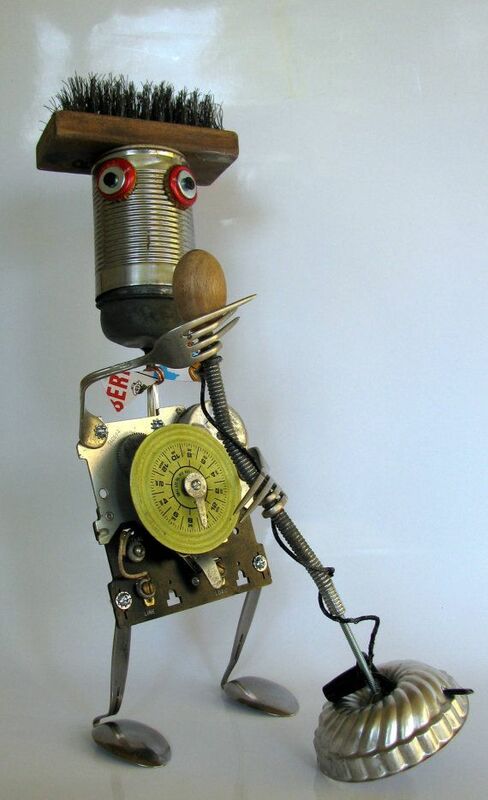 Check out some creative sculpture that can be made with thrash metal. Standing on its own, the sculpture does not say much, but shine some bright light on it and suddenly the shadow becomes resembles Michelangelo's famous statue David. This is another beautiful example of shadow sculpture. 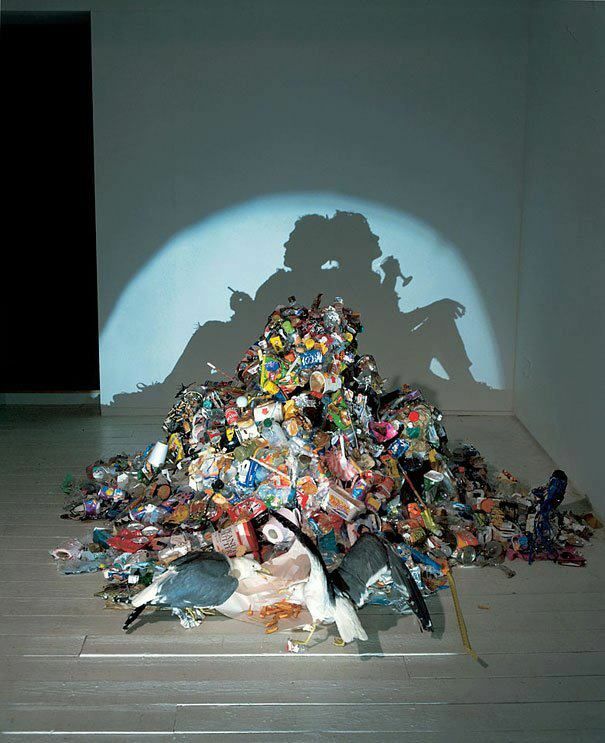 What looks like a messy discarded pile of used cans is actually carefully constructed to create a shadow on the wall of two people making merry. Who knew old, rusted shovels could make for such an attractive garden ornament? 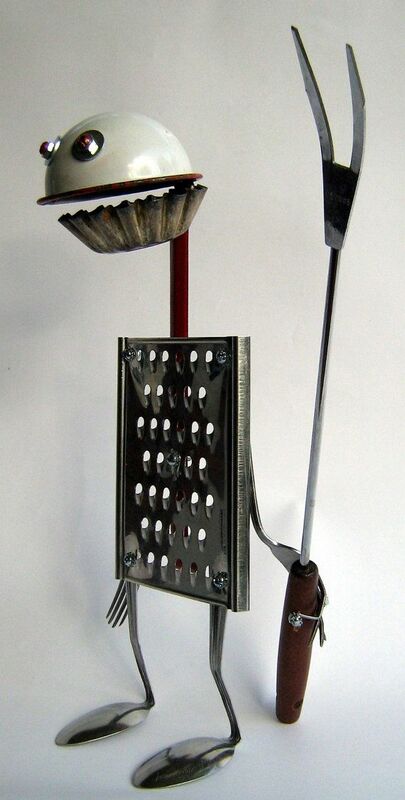 This is a great example of making best out of waste. While this is not a project you can take up at home, it is very pretty indeed. 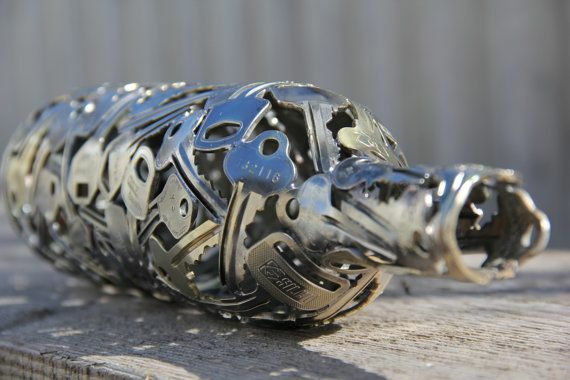 Old keys welded together to take the shape of a red wine bottle. We’ve been saving our cutest finds for the last. 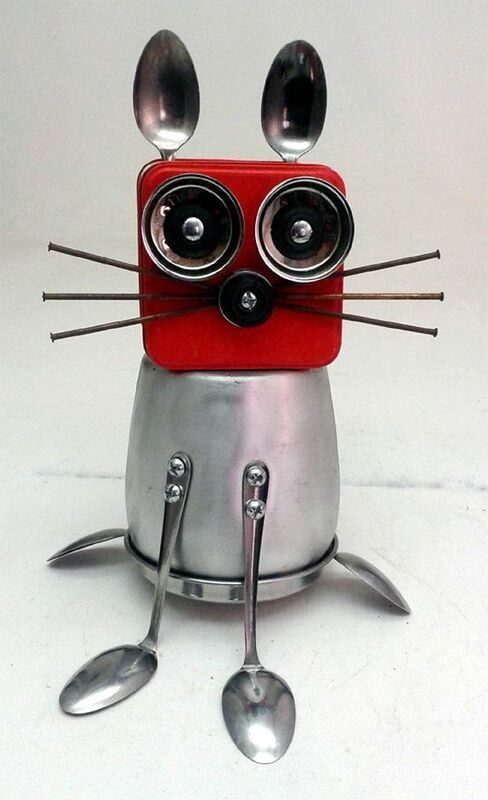 These metal robots can be created from supplies that can easily be found in the kitchen. 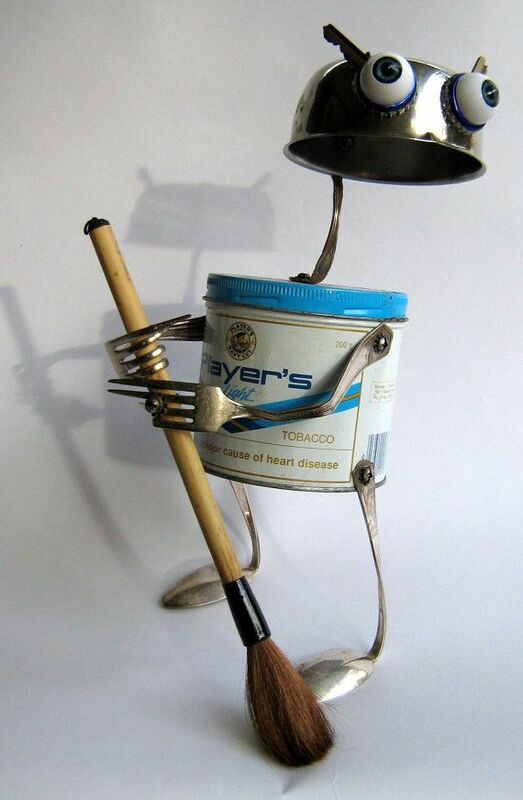 So go on, get some spare spoons, forks, nails and tins while we provide the inspiration. Lucky Group is one of the oldest Metal Recycling Companies in Dubai. We also trade scrap metals in Dubai and the Middle East. Contact us for more details.